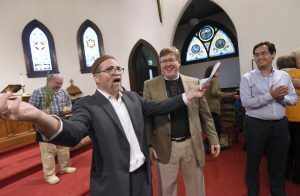 On a quiet Sunday morning last year, Lutherville’s Church of the Holy Comforter held a worship service at which the congregation’s rector, the Rev. Chris Tang, baptized a baby girl whose mother is Episcopal and father is Jewish. Shortly after the completion of that religious rite, Rabbi Geoff Basik of the Kol HaLev synagogue community tenderly wrapped the infant in a tallit and gave her a Hebrew name. 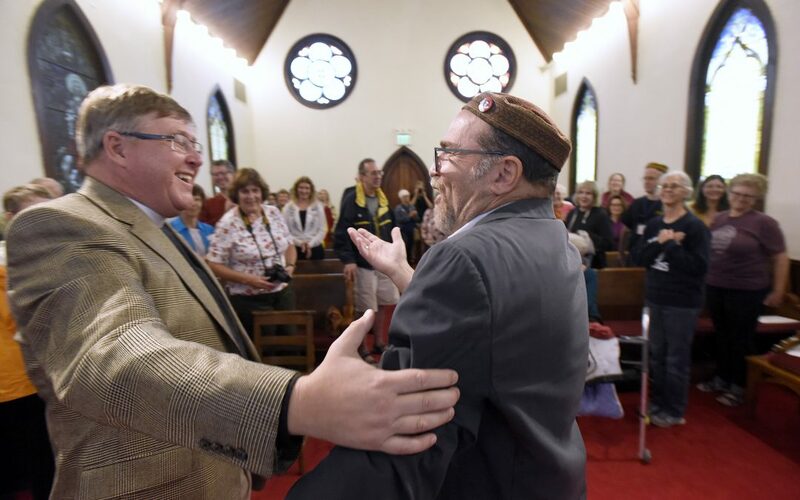 The moment symbolized the new and special relationship between CHC and Kol HaLev, which last spring moved into the Episcopal church’s building at 130 W. Seminary Ave.
Kol HaLev will hold a community-wide celebration service on Dec. 7 at 6:30 p.m. to affix a mezuzah on the doorway of the church. The program will celebrate the sixth night of Chanukah, the arrival of Shabbat and the establishment of Kol HaLev’s new home at CHC. 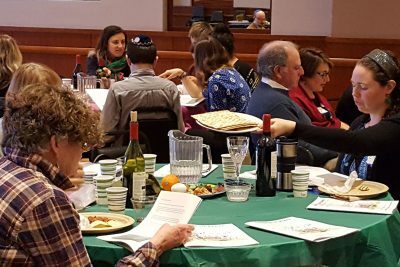 Since its inception 11 years ago, Kol HaLev, a congregation of approximately 100 members, has rented worship space from several churches in the Northeast Baltimore area. Dan Richman, the congregation’s co-president, says that’s been a blessing in many respects. Last year, Kol HaLev’s leadership learned that the synagogue needed to move again when their landlord, Brown Memorial Woodbrook Presbyterian Church, announced it was selling its North Charles Street property to merge with Govans Presbyterian Church. 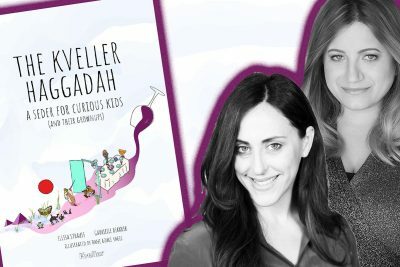 The Reconstructionist shul’s leaders decided they wanted their next home to be “more than just a rental,” says Rabbi Basik. He believes that with CHC, Kol HaLev has found the ideal match, and Rev. Tang thoroughly agrees. 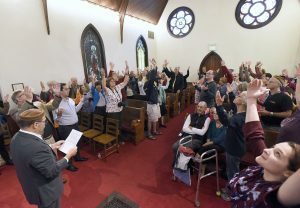 Kol HaLev moved into the church late last April, and it’s been far more than a typical landlord-renter relationship, according to representatives of both congregations. Members of the church and shul communicate on a constant basis and attend joint programming and services to celebrate interfaith harmony and exploration. At its first Shabbat service at CHC, which has a membership of about 200 households, Kol HaLev received a housewarming gift basket from the church filled with bread, wine, sugar and salt, all to symbolize the sweetness and sustenance of fellowship. Wendy Hauck, a CHC worship committee member, says she sees a great deal of common ground between the two congregations. “We both tend to be more liberal and progressive, and even though no one is changing their faith, we all like to look at new possibilities,” she says. Both Kol HaLev and CHC have worked hard to make the church’s space more welcoming and accommodating for Jewish worship. For instance, CHC congregant Tom Simpson built a table that rests on the church’s altar to facilitate Torah readings. And as the High Holidays approached, with Kol HaLev planning to hold yom tov services in the church’s main sanctuary, a local theater designer fashioned a shimmering gold cloth to cover the large cross at the front of the room. The mezuzah to be affixed at tonight’s service by Kol HaLev was a gift from CHC’s leadership and membership. Three CHC members currently attend Rabbi Basik’s “Introduction to Hebrew” class. Meanwhile, Rev. Tang delivered the homily at Kol HaLev’s Sukkot celebration last fall. 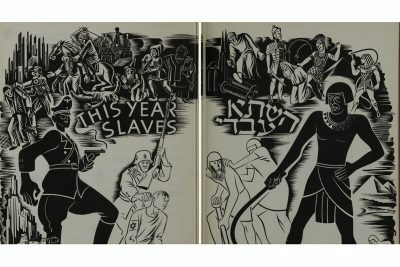 And the two congregations are planning a joint, social justice-themed seder this spring around the Passover-Easter season. Jonathan Shorr is a Baltimore-based freelance journalist.